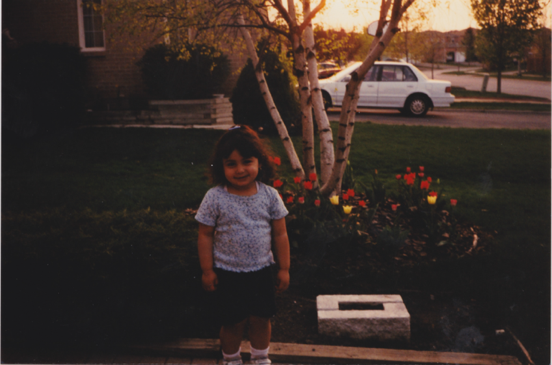 This blog is an archived post written by Marissa during her 2nd year in the Environmental Management stream. I knew I wanted to be a teacher since a young age. While I was denying it for most of my life, when it came time to apply to university I knew a Bachelor of Education was the right path for me. Environmentalism was also one of my callings; I knew the world was changing and I wanted to be a part of that. Yet, I didn’t know how to combine both of my passions or even if I could. Going into the application process, I applied to every concurrent Education program across Ontario. Concurrent Education allows me to attend "teacher’s college" while completing my undergraduate degree. 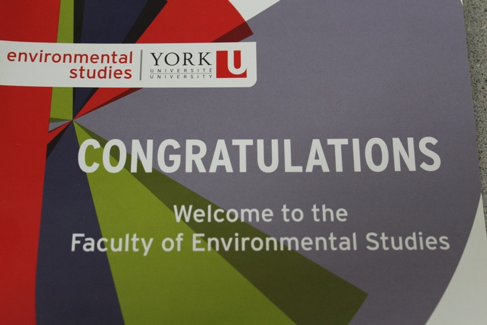 York was the only local university that offered Environmental studies and Education together. Once I had applied, I had to fill in a supplemental application, which included references, and any teaching experience. This could be anything from coaching a children's sports team, to a project you did in elementary school. Through all my hard work, I got my offer to York for a Bachelor of Environmental Studies and Concurrent Education. A BES and a BEd for short. I specifically choose York because it was close to home and offered a small knit community in such a large school. As well it combines what I loved the most the environment and education. After accepting my offer, I didn’t know what to expect: how would the degree work, what were my teachables, how can I get teaching experience before graduating? Every adult I told asked the same question "What will you teach with Environmental Studies?" and honestly I didn’t know the answer. I took it upon myself to get answers so I started to call Admissions, Financial Services, both Faculties, Environmental Studies and after Education, anyone who can give me answers. Through this, I figured out how my courses and even how my degree would work. An Environmental Studies degree could lead to 3 teachables; Environmental Science (only in high school), Geography and Social Studies. Teachables are what field you are experienced in and can teach students in. If you are going into Intermediate-Senior you need 2, you’re going into Junior-Intermediate you need 1 and Primary-Junior you need none. There are no mandatory courses for teachables, but you must take courses that would be appropriate for your teachables. This means taking a specific stream in Environmental Studies to pursue your teachable. To gain an Environmental Science teachable, my stream in the Environmental Studies degree would be Environmental Management. It’s going to take 6 years for me to become a certified Ontario high school teacher. 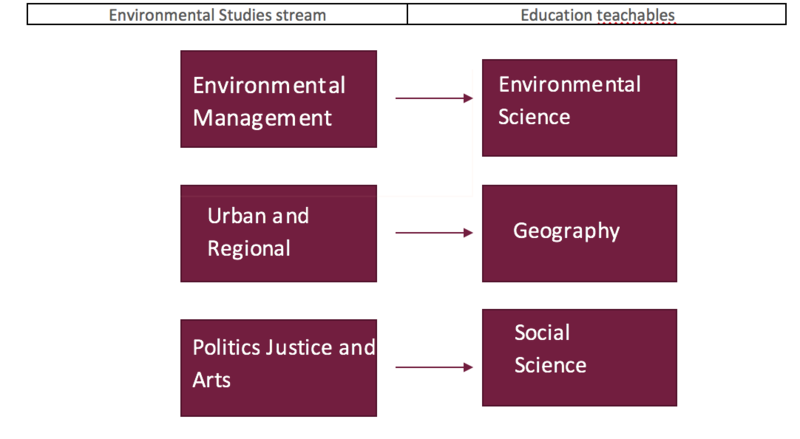 This would break down into 2 sections: the first 3 years in environmental studies and the last 3 alternating between education and environmental studies. As seen in the diagram below, my 4th and 6th year are in Education, and my 5th in Environmental Studies. Once I complete my 6 years, I would graduate with 2 degrees, BES and BEd, and as an Ontario certified teacher. Going into my third year now with Environmental Studies, I look back in my first year, wishing I knew all of this before entering school. It would have saved me a lot of stress! I hope this information is very useful to your university journey as it was in mine. I hope to see you in the Fall!